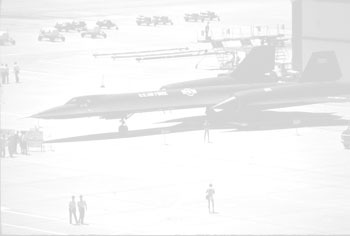 Next came the large 2-letter code identifying from which base the aircraft operates. 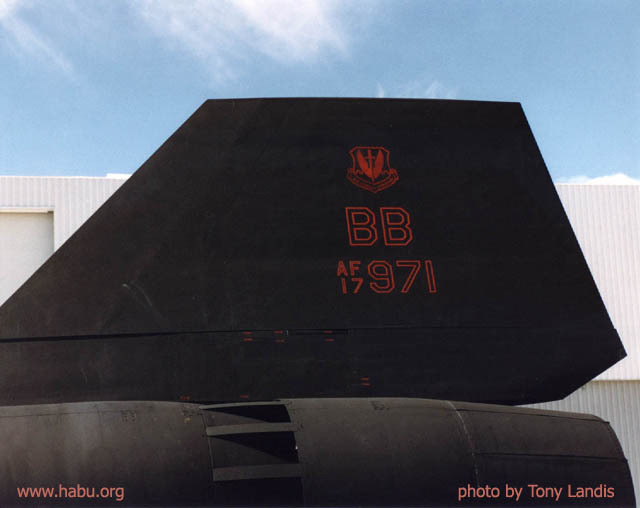 "BB" represents "Beale Bandit," because even though the SR's operated from Edwards, they were technically a remote detachment, Det-2, from Beale Air Force Base (where the U-2 flies to this day). Above the BB is the shield for the Air Materials Command.